ewa-marine VC-1M rain cape, camera not included. 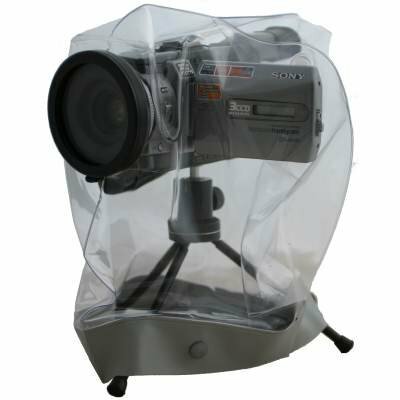 The VC-1M is a raincape designed for the current medium sized camcorder up to a maximum length of 19,5 cm (7,7 inches). It is manufactured from special PVC and has an integrated, optically neutral flat glass port. The camera is attached to the front port, by means of an ewa-marine C-A52 adapter. This patented system attaches the cape to the camcorder and holds the front port in front of the lens like an optical, clear filter. Due to the new design, it is now possible to open a flap on the cape and to use the cameras LCD-monitor. This is ideal for tripod operation. The VC-1M can be closed by means of press-studs at the bottom. 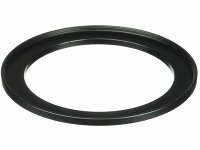 Please note: You might have to buy an additional step-up ring to connect the filter thread of your camcorder to the C-A52 adapter supplied with the cape. These are sold separately.